Gavin P. Rynard , Attorney - Martin|Hild, P.A. Mr. Rynard has a technical background in the construction process having obtained a bachelor’s of science in Civil Engineering. Prior to law school, Mr. Rynard worked as a civil engineer for a highway design firm on a variety of infrastructure projects throughout Florida. While attending law school, Mr. Rynard gained construction law experience by working as a law clerk for a law firm that specialized in construction defect and delay claims. 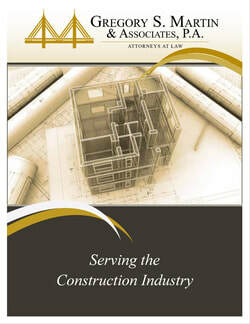 Having a technical and legal background in the construction process, Mr. Rynard employs his professional experience in construction to analyze legal issues that are unique to the construction industry.